To toss one’s bonnet over the windmill is a metaphor meaning to challenge something that may seem insurmountable as referenced by Miguel de Cervantes in his novel ‘Don Quixote’. Fast-forward some four centuries later to find Boyracer flinging their proverbial bonnets over what contemporary music should be. 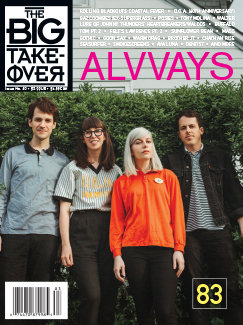 Boyracer is known for their sharper and speedier numbers especially when compared to most of their peers on the long-defunct Sarah Records label. 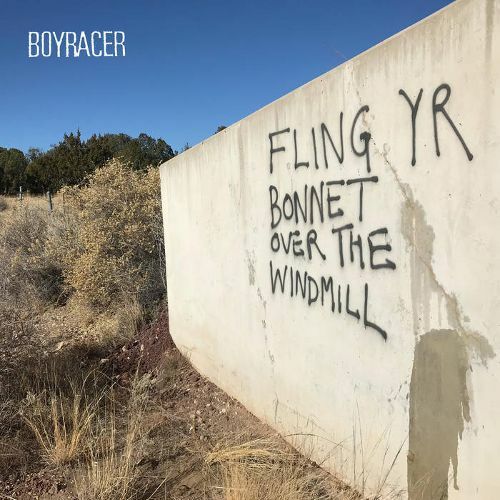 The compilation Fling Yr Bonnet Over The Windmill gathers up the three EPs Boyracer put out between 1993-1994 that were recorded for those purveyors of pop at that Bristol-based record label. Despite continuous line-up changes, you would hardly know it because of songwriter Stewart Anderson’s constant presence. Arguably the punkiest of their Sarah brethren, Boyracer’s poignancy comes from the pop sensibility that oozes through their harsh attack. Straight out of the gate with “He Gets Me So Hard”, Matty Green’s vicious, feedback-laden guitar and Anderson’s relentless, pummeling percussion stand in contrast to Nicola Hodgkinson’s sweet backing vocals; capturing everything we love about that era in music. Meanwhile, Stewart’s lead vocals and melodies leave one longing for the late, great Wiz (Mega City Four/Serpico/Ipanema frontman), whose delivery allowed for some brevity amongst the calamity. While comparisons to Comet Gain, The Wedding Present, and Pavement are certainly warranted, Boyracer’s sense of urgency (even on the abbreviated, acoustic-based “Distraction”), romanticism (the devine “Close”), and penchant for a punk hook with a pop twist (the loud-quiet-loud of “I’ve Got It And It’s Not Worth Having”), Stewart Anderson and company have remained consistent in those traditions since its inception in 1990. Keep an eye out on these pages for some new Boyracer coming soon – a much needed welcome back!